It was really lovely to have LR and C come over to eat with Little Girl and I, and share this bottle. Another Speiglau 2012 gold lauded wine. Deep, dark plum colour. Merlot dominant, so the wine is at first sip smooth and easy-going, but the cabernet sauvignon arrives to provide backbone and intensity. Depth of fragrance on the nose, with boysenberries and black plums and fruitcake long in the mouth, and oak, and supple textural tannins. It went fantastic with the red wine, orange and star anise lamb shanks tonight. 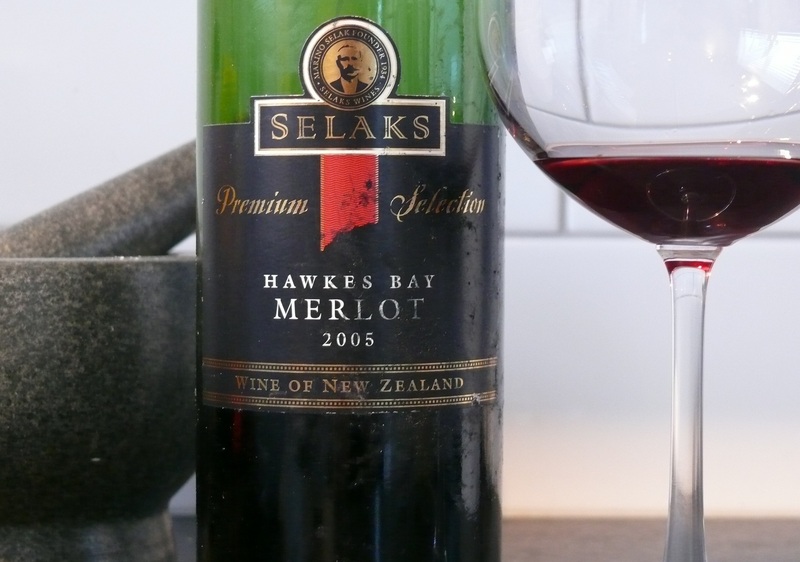 Two years ago I bought a few of these Merlots from Pak ‘n Save cos they were old (2005), and cheap ($8). I tried the first two and they were rubbish. Spoiled and dank was all I could say about them, from memory. Yuck. As Eric Idle said in the Bruce’s Sketch from Monty Python, “This is a bottle for laying down and avoiding.” But maybe cooking with? I splashed half a bottle in the lamb shanks, but thought I’d better taste this horror again. And it wasn’t bad. Don’t know what happened. Did I strike a good bottle? Had it settled down in my cellar? The wine is brick red, fading off on the edges as you would expect. The nose is old meaty savouriness, pleasant, and fascinatingly strays into pinot noir territory. 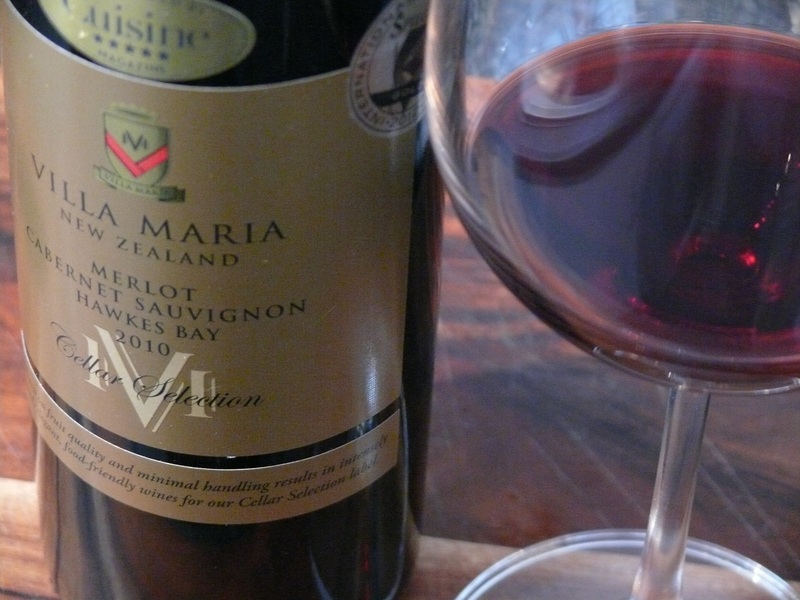 There is the merlot smoothness, with very fine tannins, dark berries, plums and dark fruit jelly. Medium-bodied but with depth. The age has created something good out of something modest.